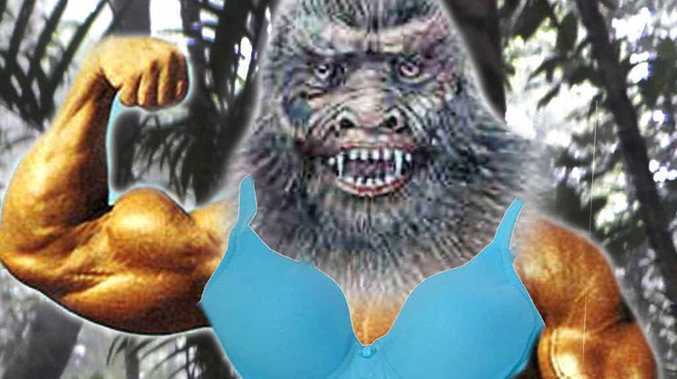 THE WHEREABOUTS of a yowie with the body of Arnold Schwarzenegger and a fetish for stealing ladies underwear off clothes lines remains a mystery to researchers. The yowie was last seen in the Blue Mountains of NSW in the 1990s but has not been spotted since. It is considered unlikely to be in the Ipswich area, but due to the presence of the Mulgowie Yowie and on the back of other yowie sightings in Rosewood, Yamanto, Redbank Plains and Redbank, nothing is being discounted. Dean Harrison, who runs the Australian Yowie Research website and has done field work in Ipswich and Mulgowie, interacted with the fun-loving yowie, which he also described as a physical specimen to be reckoned with. "I was knocking around with one in the Blue Mountains and most of the residents in that location had encounters with him over a 10 year period before I got there," Harrison told the QT. "This one was six and half feet tall and his muscularity was incredible. He actually looked like a body builder. "I spent time with him for about two years before I moved back to Queensland and he vanished about five years after that. "He was a real character and a one of a kind… the type of personality that you would never expect to find again. "He was like a big kid. All he wanted to do was play games at night. I never really trusted him, so I didn't get too close. "He would go around haunting people's houses at night, bang on windows and doors and steal the dog food and underwear off clothes lines. "He was in somebody's house at one stage when they came home." The undergarments that regularly went missing included bras, stockings and other sultry paraphernalia the playful yowie had taken a shine too. Former Flinders View resident Carlos Cabernet, who revealed his own encounters with a giant yowie at Deebing Creek as a youth in the QT, said the yowie which lived in bushland near his home was not known for being light fingered, or an undie thief. But he did say it possibly loved tools. "There was definitely movement out near the tool shed at night but we don't recall anything really ever going missing off the clothes line," he said. "I'll have to ask my mum about that one. "We did have some heavy fencing tools and the like which were often relocated overnight, so the yowie possibly could have been doing some weightlifting in there." Not all yowies are said to be playful though. Former Mulgowie Hotel publican Rob Vidler told the QT about a terrifying tale related by yowie hunters in search of the famous Mulgowie Yowie. "They told me there were places nearby where people had been forced to flee their homes because the yowies were there. But I couldn't imagine people moving out because of yowies," he said. Harrison has his doubts that yowies were still terrorising home owners, not every day of the week at least. "It doesn't happen these days, but it used to years ago in the 1800s when people would move out of houses because of fear," he said. "Occasionally we will have accounts of people being harassed in their homes." Harrison said the yowie could be a homo erectus, thought to be an extinct species of hominid. Others suggest it may be some form of prehistoric ape. Brisbane Skeptics Society president Ross Balch is still waiting for yowie bones to be produced by researchers. As for a yowie with an undie fetish, he was sceptical...as you would expect. 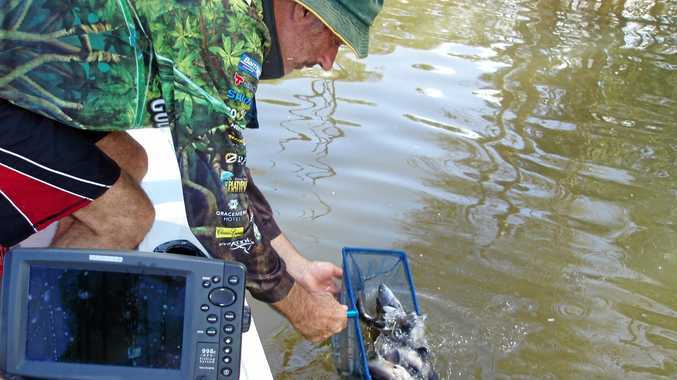 "The yowie is obviously a very fun and very Aussie story," Balch said. "But if we can find dinosaur bones that are millions of years old, why do we never find the bones of a yowie? "It just seems interesting that a creature that has basically the same brain skills as an ape would have an interest in women's underwear. It is very strange."